Charla Nash, 55, is still under sedation at the Cleveland Clinic. HARTFORD, Conn. – The family of a woman who was mauled by a 200-pound chimpanzee says her twin brother plans to go to court this week to seek guardianship of the victim and her daughter. "That's the way my sister would want it," Steve Nash said of his younger sister, 55-year-old Charla Nash, who remains under sedation at theCleveland Clinic in Ohio, where she is being evaluated by teams of physicians. Charla Nash's twin, Michael, needs the legal designation to make decisions on behalf of Charla and her 17-year-old daughter, Briana, who is staying with family friends in Connecticut, Steve Nash told The Associated Press on Sunday. 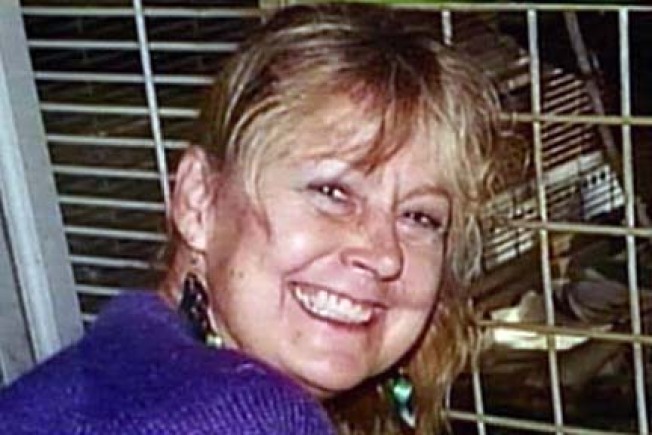 Charla Nash was transferred from Stamford Hospital in Connecticut to Ohio with massive injuries to her face and hands from the Feb. 16 attack by Travis, a chimpanzee owned by her friend, 70-year-old Sandra Herold of Stamford. "She's stabilized and the evaluation process is going to take a long time. It's a slow process," said Steve Nash, who is with his sister in Ohio. Nash said he's hopeful the physicians will speak publicly about his sister's condition later this week. Doctors haven't decided if she will be a candidate for a face transplant at the clinic, where the first face transplant in the U.S. was performed two months ago. Nash, who lives in Virginia, said he doesn't know Herold or many details about the case. "Our focus is on our sister. We haven't said one or two words about her," he said, referring to Herold. Herold, who owned the 14-year-old chimp for nearly all his life, has said she fed Travis the finest foods, including steak, lobster, cheesecake and wine. Travis combed her hair and they slept in the same bed, she said. Herold asked Charla Nash to come to her home the day of the attack to help lure Travis back into her house. Herold has speculated that the chimp was trying to protect her and attacked Nash because she had changed her hairstyle, was driving a different car and was holding a stuffed toy in front of her face to get Travis' attention. Authorities have not said whether Herold will face criminal charges. Connecticut state law allowed her to own the chimp as a pet.